English Firmware with Extended 2 Year Warranty! Condition is Used. Great condition, just a few minor marks on the top and bottom of the case edge - was kept in a spigen thin case which only protected back and sides. Google Pixel 2 - 64GB - Just Black (Unlocked) Smartphone. Condition is Used. Dispatched with Royal Mail 1st Class. Had screen protector and case on since purchase. Includes a Dskin which is still fitted and can be seen in the photos. Screen has no marks on it and rest of phone is in very good condition. Comes with original box and all accessories. Phone is unlocked to any network. Selling as upgraded. Any questions feel free to ask. Google Pixel 2 - 64GB - Clearly White (Unlocked) Smartphone. Google Pixel 2 - 64GB - Clearly White (Unlocked) Smartphone. Condition is mint no obvious marks or scratches performance is like new . Supplied with top quality speigen case that has protected the phone from the moment it left the factory box. This is a great phone with a high quality camera. Thank you for looking Good luck if your bidding. Dispatched with Royal Mail 1st Class. Google Pixel 2 - 64GB - Black (Unlocked). Google Pixel 2 - 64GB - Just Black (Unlocked) Smartphone. Dispatched with Royal Mail 1st Class. Like New - Not personally used, but opened and switched on once to check functions. System has been factory reset for a fresh user. Google Pixel 2 phone. great condition, never been used without a case or screen protector. looks just like new. Just can't get used to android. 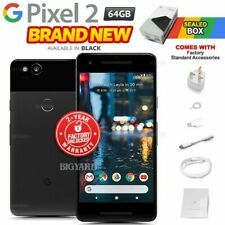 Google Pixel 2 - 64GB - Just Black (Unlocked) Smartphone. Dispatched with Royal Mail 1st Class. Google Pixel 2 - 64GB - Just Black (Unlocked) Smartphone. GOOD CONDITION, GRADE B, WORKS PERFECTLY. Google Pixel 2 128GB Clearly White In perfect condition, has been in a full case and screen protector since purchased new. Been used on EE but unsure if its unlocked. Everything included with it but the box however, does not match up with the IMEI PM the phonel as I had the phone replaced by EE. Official Google Pixel fabric case in box - looks very stylish! Mnml case in box. This is wafer thin! Clear plastic case. Included with the phone are the following. Kinda Blue. GOOGLE Pixel 2. Google Pixel 2 - 64GB - White (EE) Smartphone. THIS IS THE PIXEL 2 PHONE BY GOOGLE BLACK EDITION. THE ALL-NEW PIXEL 2. GOOGLE INSIDE AND OUT. SAVE ALL YOUR PHOTOS AND VIDEOS IN ORIGINAL QUALITY WITH UNLIMITED STORAGE IN GOOGLE PHOTOS. PLUS GOOGLE PHOTOS MAKES IT EASY TO FIND, ORGANIZE AND SHARE WHATEVER YOU WANT. Google Pixel 2 - 64GB - Just Black (Unlocked SIM FREE ) Smartphone and accessories. Instructions book with SIM tray removal pin. All original box and accessories, factory reset and running latest Google Android (9.0 pie, April 2019). Google Pixel 2 - 64GB - Clearly White (EE) Smartphone. FREE 12 Months Warranty. FREE USB Charging Cable. The phone also receives monthly software security updates from Google. It's been kept in the case it's whole life and is in an as-new physical condition. I have included the case in the bundle. Selling my replacement phone in a very good condition. It's been looked after, however, few things I would like to point out. There is a barely noticeable scratch on the screen, tiny scratch on a back panel, little dent on a top right corner (see pictures). Otherwise it's almost perfect and working flawlessly. The all-new Pixel 2. Google inside and out. In two sizes and four colours. Learn more about landmarks or look up books, films, albums and artwork using Google Lens. Pixel automatically displays song info so you know what's playing. The unit needs to be pristine and also totally clean of dirt and dust. Back cover - Removable back cover any condition - applicable only for removable back cover on handset. For a handset to be graded A, we have identified the following. Google Pixel 2 5.0" 64GB White. 64GB Sim Free. Supplied in the original box and complete with all the original accessories. SIM Free for use on any GSM network worldwide. Google manufacturer warranty UK/EU. HERE WE HAVE FOR SALE AN OPENED BOX IN NEW CONDITION A GOOGLE PIXEL 2 64GB IN KINDA BLUE COLOUR. - Google Lens lets you visually search for places & things. - Squeeze for Google Assistant to get things done. 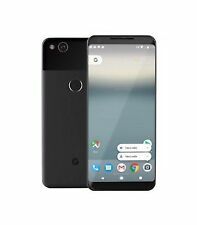 Grade C Google Pixel 2 Just Black 5" 64GB 4G Unlocked & SIM Free. Unlocked & SIM Free. Sim Free and Unlocked to all networks. 64GB Storage. Need help or answers?. Just ask the Google Assistant, built into every Google Pixel 2. Grade C Google Pixel 2 Clearly White 5" 64GB 4G Unlocked & SIM Free. Unlocked & SIM Free. Sim Free and Unlocked to all networks. 64GB Storage. Need help or answers?. Just ask the Google Assistant, built into every Google Pixel 2. YOU ARE PURCHASING A PIXEL 2 PHONE BY GOOGLE 128GB IN EXCELLENT CONDITION. 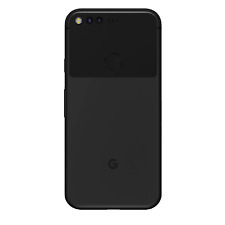 THIS IS THE PIXEL 2 PHONE BY GOOGLE BLACK EDITION. THE PHONE IS IN EXCELLENT CONDITION. UNDER VERY CLOSE INSPECTION ONE WILL NOTICE A FEW FAINT MARKS AROUND THE BODY OR SCREEN OF THE PHONE. Grade B Google Pixel Quite Black 5" 128GB Unlocked & SIM Free. 128GB Storage. Unlocked & SIM Free. Sim Free and Unlocked to all networks. And use Smart Storage to let Pixel help free up space when you need it. YOU ARE PURCHASING A PIXEL 2 PHONE BY GOOGLE 64GB IN NEW CONDITION. THIS IS THE PIXEL 2 PHONE BY GOOGLE CLEARLY WHITE EDITION. THE ALL-NEW PIXEL 2. GOOGLE INSIDE AND OUT. SAVE ALL YOUR PHOTOS AND VIDEOS IN ORIGINAL QUALITY WITH UNLIMITED STORAGE IN GOOGLE PHOTOS.